Who is the leader of the Democratic party? 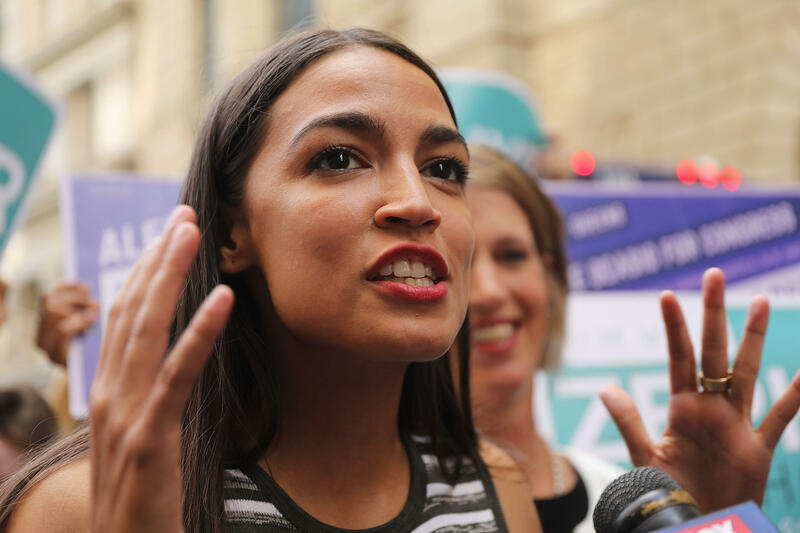 Democrats have a more favorable view of socialism than capitalism, according to a poll released by Gallup on Monday. Of the Democrats who responded to the questionnaire, 57 percent view socialism positively while 47 percent view capitalism positively. Just two years ago in 2016, 56 percent of Dems had a positive view of capitalism. But there has been little movement on their feelings towards socialism since 2010, when 53 percent of poll respondents had a positive view. On the other hand, Republicans feel very positive about capitalism, according to the poll. In a minor bounce from 2016, 71 percent of Republicans are now in favor of capitalism while only 16 percent have positive sentiments towards socialism. The poll comes as the popularity of self-identifying Democratic socialists like Sen. Bernie Sanders, I-Vermont, and New York congressional candidate Alexandria Ocasio-Cortez remains high. Socialism was most popular with the 18-29 age group, with 51 percent saying they held a positive view, while only 28 percent of the 65+ crowd support the concept. Results of the survey come from a random sample of 1,505 adults living in the United States ages 18 and up who were polled between July 30 and August 5, 2018. The margin of error is +/- 3 percentage points at a confidence level of 95 percent.